Applications for recruitment of 10 vacant posts of Senior Engineer, Senior Manager, Manager, Assistant Manager, Senior Engineer, MSME-Technology Center, Bhiwadi have been invited. Interested candidates can apply before the deadline by reading the given instructions. The last date for applying is November 10, 2018. Candidates for these positions will be selected on the basis of interview and experience. 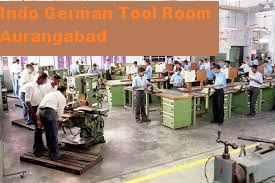 Educational Qualifications – For the academic qualification and other information, see the Indo German Tool Room Aurangabad website or click on the link given below. Apply soon – 10 vacant posts of Senior Engineer, Senior Manager, Manager, Assistant Manager, Senior Engineer, MSME-Technology Center, Bhiwadi have been invited. Interested candidates can apply before the deadline by reading the given instructions. The last date for applying is November 10, 2018. Candidates for these positions will be selected on the basis of interview and experience.